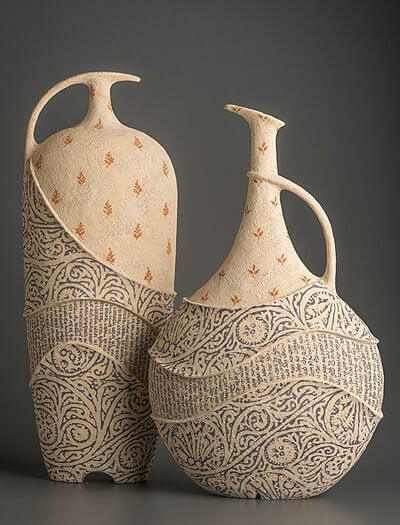 Made from a variety of materials including clay, ceramic art may take on a variety of forms such as tiles, figurines, sculpture, tableware, or art ware. Some ceramic art is considered to be fine art, while others are categorised as decorative and there are also many examples of ceramic artefacts in archaeology. Almost all developed countries have a long history of ceramic art and there have been cultures, such as the Nok in Africa some 2,000 years ago, where all that remains of them are the ceramic objects they created. 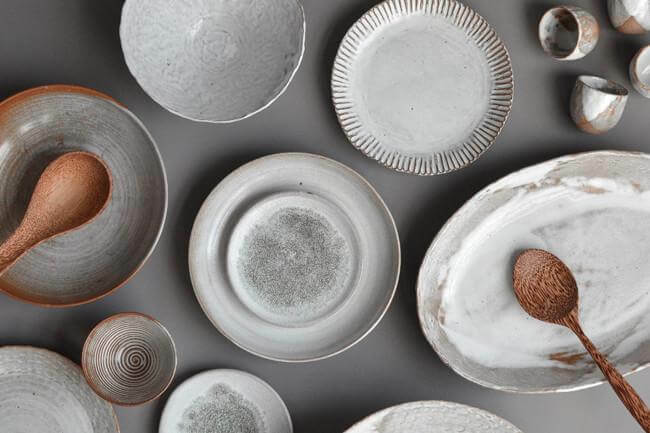 The word ‘ceramic’ was derived from the Greek work keramikos, meaning ‘pottery’, and historically ceramic products were shaped from clay and then subjected to heat – much like how most decorative ceramics and tableware is still made today. Certain cultures are especially noted for their ceramics such as the Chinese, Mayan, Japanese, Persian, Greek, and modern Western cultures. Combining different types of clay with different minerals and firing conditions will produce earthenware, stoneware, porcelain, and bone china. Stoneware: a vitreous or semi-vitreous ceramic made typically from stoneware clay which has been fired at high temperatures. Stoneware is nonporous whether vitrified or not and may be glazed or unglazed – making it almost as varied as bingo for money. Porcelain: a ceramic material created by heating materials including kaolin in a kiln to temperatures between 1,200 and 14,000 °C. Porcelain gains its strength and translucence from vitrification and the formation of the mineral mullite during the extreme firing process. Bone china: a type of soft-paste porcelain made from bone ash, feldspar, and kaolin. Known for its whiteness and translucency, bone china has a very high mechanical strength and chip resistance. China painting: the decoration of glazed porcelain objects such as plates, bowls, vases or statues. The body of the object is typically first fired to create a hard porous biscuit, followed by an underglaze and a ceramic glaze, which is then fired again so the glaze adheres to the body. The body is then decorated by over glaze painting and fired again at a low temperature. Slipware: a type of pottery categorised by the decorating process where slip is placed onto the surface of the clay body before painting, splashing, or dipping. An aqueous suspension of the clay body, slip is a mixture of clays and minerals such as feldspar, quartz, and mica and can also be applied by painting techniques. Terra sigillata: a watery refined slip used to burnish raw clay surfaces and promote carbon smoke effects. Terra sigillata can also be used as a decorative colourant which can be applied by brush to higher temperature glazed ceramics.